If you like this free game, try Witche’s Pranks. Take on an exciting adventure, as Alice, an amateur witch, or as Percydal, a prince turned into a frog! Percy’s curse can only be broken by a kiss of his loved one – princess Rapunzel, and it is up to you to find her! Get ready, road to the princess won’t be an easy one! 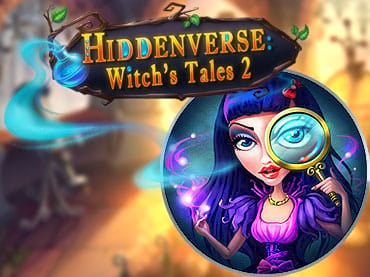 If you have questions about Hiddenverse: Witch's Tales 2 game, please contact us using this form.